S 366 x 500px 0.5 Mb. M 731 x 1000px 2 Mb. L 1462 x 2000px 8 Mb. XL 2632 x 3600px 15 Mb. 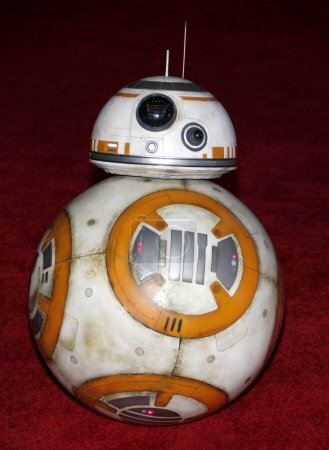 HOLLYWOOD, CA, USA - DECEMBER 14, 2015: BB-8 at the World premiere of 'Star Wars: The Force Awakens' held at the TCL Chinese Theatre in Hollywood.